The new breed of dc servomotors. DC servomotors that are robotically manufactured to a customer’s online customisations. Shown here is the latest style DC servomotor that has been automatically manufactured from a customer’s direct inputs into an internet based motor configuration tool. The first feature to observe on the motor, gearhead and encoder combination is the complete lack of any screws, pins or clamps between any of the components. This is achieved even for the encoder with continuous flow laser welding. By removing the traditional mounting plate design between the DC motor and the planetary gearhead it saves on overall length. A complete weld revolution between the motor and gearhead also eliminates the possibility of oil or water ingress into the motor at this point. The encoder cable exit is also sealed providing both strain relief and sealing. All maxon DC servomotors do not require internal airflow or brush cooling allowing them to be completely enclosed. Using the web configuration tool features on the motor including the shaft length, shaft flats, cable lengths, gear ratios and winding characteristics can all be customised to best suit the application. Normally a robust, efficient and customised motor drive that is manufactured to order in Switzerland would take a minimum of four weeks to produce. This new style of manufacturing represents somewhat of a breakthrough with the product being shipped in under 11 working days. Contact maxon motor Australia for assistance Ph. +61 2 9476 4777 . DCX 22 DC servomo-tor with planetary gearhead and incre-mental encoder © 2015 maxon motor Australia. 33 new DC motor products in the new 2015/2016 catalogue. In the newly released motor product catalogue, maxon motor offers 33 new brushed and brushless DC motors, gears, spindle drives, sensors and controllers. The 2015/2016 catalogue available online, features 33 new innovative motor products that are all configurable to meet your specific application needs. From the DCX product line, the motors range from the 12mm motor through to 26mm diameter and up to 18,000rpm. The DC-max motors available with either precious metal or graphite brushes, provide 1.6 to 40W, 10-12 mNm and up to 9,000 rpm. Suitable for surgical applications, maxon motor unveiled the powerful yet small brushless DC motor that can be sterilised in an auto-clave as many as 1,000 times. Also befitting the motors capabilities are various applications in the medical field, such as bone saws, surgical drills and acetabulum reaming tools. Featuring nominal speeds of approximately 15,000rpm and high nominal torques between 80-100mNm. Seven new gearhead diameters for the GPX Planetary gearhead family have been released: 12mm, 14mm, 16mm, 19mm, 26mm, 32mm and 37mm all offering a range from 0.002–12.0 Nm. Additionally a tiny 4mm planetary Gearhead particularly suitable for extreme space critical requirements such as arthroscopic or implantable devices. New three-channel digital encoders with line driver for protection from interference. Featuring adjustable encoder resolutions and in particular, the 16mm sensor can withstand temperatures of -40 to +100 degrees Celsius. Applications that rely on positioning systems for efficiency and high accuracy, driven by powerful DC motor and gearhead systems, will benefit from the ceramic linear drives. What sets the spindle drives apart is the scientifically developed ceramic glide surface. The spindle, combined with brushed or brushless DC motor, prolongs the lifespan in systems with dynamic sliding movements. Delivering up to 144W of power, weighing 7 grams, the new servo-motor controller was introduced to assist in applications particularly in the fields of machine design and robotics. This controller is purpose built for small applications being the size of a postage-stamp however it can it can drive both brushless DC motors and brushed DC motors. These high-efficiency drives are configurable online and are ready for delivery in 11 days. The catalogue can be viewed on-line in the maxon motor e-paper catalogue. Call maxon motor Australia on +61 2 9457 7477 for assistance with your application. 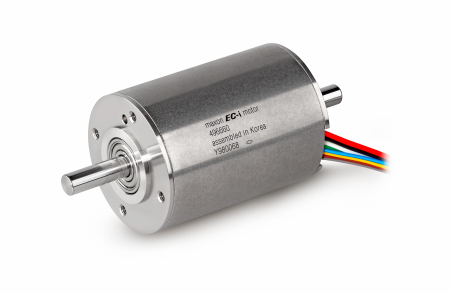 High speed brushless DC motor X-series is expanding. The first X series brushless DC motor with an ironless winding that can also be configured with specialist encoders and gearheads. Introducing the ECX SPEED 8 M, together with new ENX 8 EASY encoder and the GPX 8 gearhead. What makes this motor and combination different is the integration of the encoder and its output cable connection into the motor without increasing the motor length or diameter. This servo gearmotor combination is a small powerful solution for high precision positioning applications. Specially engineered, the ECX 8 drive is perfectly suited to applications such as electronic assembly, fine process control and also medical devices and laboratory equipment. GPX 8: Configurable shaft and flange face with the online tool. As with other maxon DCX motors, once released the new ECX motors will be ready for delivery from Switzerland in 11 working days. Call maxon motor Australia on +61 2 9457 7477 for detailed application assistance. Brushless DC motors with inner rotors reach their highest power levels. New from maxon motor is the 14pole high torque 40mm Brushless DC inner rotor motor. This brushless DC motor with dimensions of just 40mm x 56mm can produce continuous torque levels of 232 mNm at over 7000rpm. The new length release at 100 watts brings this line of multipole brushless motors a third power option including a 50W and 70W version. There are 9V, 18V, 36V and 48V nominal DC windings available. The 50W and 70W motors have a maximum speed of 10,000rpm and the 100W motor has a maximum speed of 8000rpm. It is possible to use the speed constant of the motor (commonly known as KV) to configure the motor for the speed requirement of the motors application. For example: using the 18V winding of the 70W motor and a system voltage of 24V the motor will have a no load running speed of just over 10,000rpm this speed can then be controlled with one of maxon’s brushless DC servo amplifiers. From factory automation and process control to medical robotics. One of the most important factors in modern machine design is power to weight ratio and the new brushless DC motors from maxon are some of the best performing to date. Especially when comparing the torque of the motor with its diameter. The motors are available with tiny high resolution encoders and compact planetary gears. Engineers at maxon motor Australia are able to help with the configuration of motor, gearhead, encoder and control units to suit the specific needs of your application. Contact maxon motor Australia on +61 2 9457 7477 . The 40mm diameter brushless DC motor. Have space constraints in your application but need a powerful motor? maxon motor has the answer. 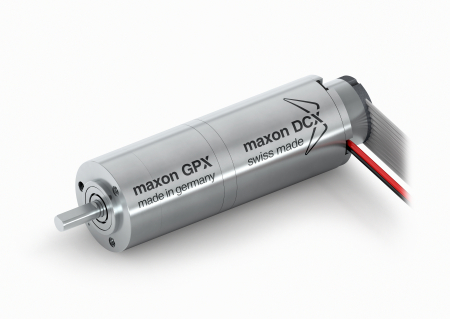 New High Torque DC brushless motors by maxon motor – available in three different sizes. Applications that require very high force, maxon motor now offers its new 40mm brushless DC motor in a High Torque version. The internal rotor drive offers a diameter of 40 mm and delivers up to 0.234 Nm. The new brushless DC motors are suitable for cost sensitive applications including high-end power tools and automation equipment. The High Torque brushless DC motors can be configured with maxon planetary gearheads and motor controllers. With three powerful internal rotor drives the new 40mm brushless DC motor delivers high power density ratios. Low cogging and 0.234 Nm from only 56mm length. It represents a power improvement over previous models of more than 70%.